When you are looking into surveillance cameras and Digital VIdeo Recorders (more commonly known as DVRs) there are a wide variety of units available on the market. They will range from the most basic units that only record 4 cameras at CIF resolution all the way up to 32 cameras that record at D1 resolution. If you need higher resolution there are recorders known as NVRs or network video recorders, these units can record video up to 1080p resolution. Not everyone will want to spend the money to step up into Network Video Recorders (more commonly know as NVRs) with IP cameras especially if they have existing analog cameras. However there are units out there that will allow customers to keep their existing cameras and add IP cameras all on the same unit. There are several benefits to a system like this. 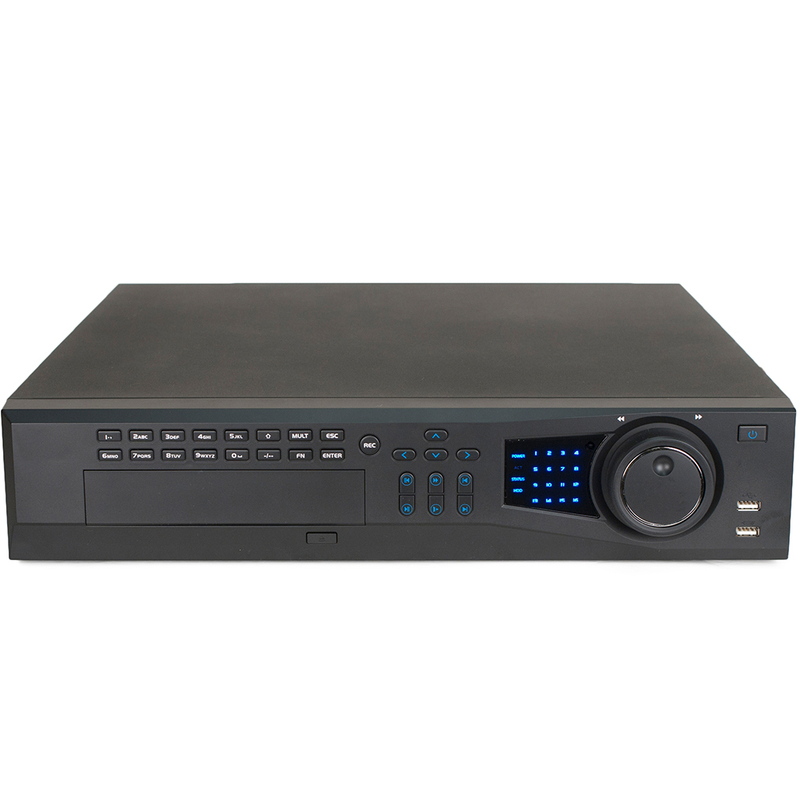 These units are commonly known as Hybrid DVRs, the name comes from the unit actually being a combination (hybrid) of a full size DVR and a mini NVR. When it comes to Hybrid DVRs there are several versions on the market, the ones that I am going to talk about are Tech Pro Hybrids. We have two different versions an Ultimate Hybrid and a new Federal Hybrid. They are similar in many respects, yet they are very different. If you have lower end cameras without the newest chipsets inside then you will want to stick with the Ultimate Hybrid, since you will not be able to fully utilize the resolution on the Federal. The Ultimate Hybrid DVR is basically a combination of our Full Size Ultimate DVR and an Elite Mini NVR smashed together in the same unit. The Ultimate DVR brings D1 resolution (704 x 480) at 30fps (30 frames per second) on all analog channels. It also brings in 16 analog audio channels into the recorder, larger dual core processors, loop outs for analog channel spot outputs, 8 SATA ports, and alarm inputs and outputs. What this allows is for the maximum recording resolution of most analog cameras on the market. The NVR adds up to 16 channels of IP cameras. The amount of frames per second will depend on the resolution of the cameras. For example if you have 16 – 1.3mp IP cameras you will be able to set them at 15fps to fit all the cameras on the NVR portion. The NVR portion of the Hybrid DVR allows for the highest definition cameras to be utilized along with standard analog cameras. The Federal Hybrid DVR is a combination of our Full Size Federal DVR and the Elite Mini NVR smashed together in a single unit. The Federal DVR brings 960H resolution (960 x 480) at 30 frames per second (30fps) on all analog channels. It also brings in 16 analog audio channels into the recorder, even larger dual core processors, loop outs for analog channel spot outputs, 8 SATA ports, and alarm inputs and outputs. The Federal DVR allows for the absolute highest analog camera resolutions in realtime, so you are getting 960H (960 x 480) resolution at 30 frames per second (30fps) on the 16 analog channels. In order to fully utilize this resolution you are going to need high end analog cameras, with advanced chipsets that can output to the 960H resolution. Without these analog cameras, your best bet would be to stay with the Ultimate Hybrid, which can handle all industry standard BNC connection analog cameras. The Federal Hybrid also has 2 Network Interface Cards (NIC Cards), for smoother network flow with the proper network configurations. The NVR portion is identical to the Ultimate Hybrid, so if you are trying to decide which unit to go with you need to look at the analog portion and see if your existing cameras can support the 960H resolution. When it comes to setting my customers up with the right system, I do a good amount of research on their expectations, what existing components that we are going to be able to reuse, or is this a completely new installation. These are just a few of the considerations that I take into account when building a system that will surpass the expectations of my customers. By utilizing a Hybrid DVR with any installation you open the options for expansion in the future and endless options on how the system can be used to optimize coverage for the best possible results. If I am installing this unit to upgrade a customers existing system, I will utilize their existing analog cameras for coverage purposes and add IP megapixel cameras to new locations and high value areas. To do this sometimes it requires me to move existing cameras to other locations and replacing them with the IP cameras. I do this for several reasons, but mainly because someone who enters a location ninety nine times out of a hundred will not change outfits while on premise. This may sound crazy, but it is true. I like to have entry points covered with IP cameras, as well as having a couple of outside overview cameras being IP cameras. By doing this you have your high value or target areas covered with the absolute best quality video. You then utilize the existing analog cameras to give you information as to what occurred. You need great quality shots of the perpetrator and then good quality video of what occurred from this perpetrator. Now if this is a completely new installation, I will walk the property looking at all entry points, high value target areas, and entry/exit points to the property. These points will be covered by IP cameras and then I fill in the remainder of the location with good quality analog cameras to give the customer as much detail and coverage as possible to stay within their budget and security needs. I have found that with the IP cameras you generally can get away with about half as many of them as you would generally need in the analog cameras. Now this is not always the case depending on the structure and layout of the location, so the best thing any installer or would be do it yourselfer can do is to really study the site and try and think like a criminal.